Stealing the Diamond Dynasty Faisal of Saudi Arabia (Blue diamond) in 1989 (known as the case of the diamond jewelry theft of the Saudi royal family) by a Thai employee has made the relationship between Saudi Arabia and Thailand deteriorate as long as 20 years now. 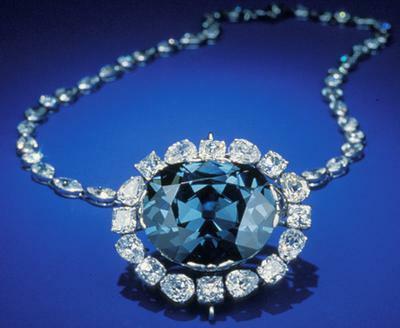 The 15-carat Blue Diamond was a gem belonging to the Saudi royal family and was a 100% pure diamond. By fascination of this diamond made everyone who saw it want to be its owner, but from history, the King is the only class that could own it. So if an owner was not a King, the person who kept it would get a curse. For example, in 1989, Kriangkrai Techamong, a Thai worker, stole jewelry and other valuable gems from the palace of Prince Faisal bin Fahd where he was employed as a janitor. Kriangkrai had access to the princess' bedroom and managed to hide the stolen jewelry in a vacuum cleaner bag at the palace. The haul included a valuable blue diamond and other gems, which Kriangkrai shipped back to his home in Lampang province, Thailand. After that, everybody who was concerned about this diamond in Thailand got a disastrous life, like the general who misapplied this case was sentenced to death or the owner of a diamond store who kept this diamond and his family all were murdered. Join in and write your own page! It's easy to do. How? Simply click here to return to UEC Saudi Arabia forum.